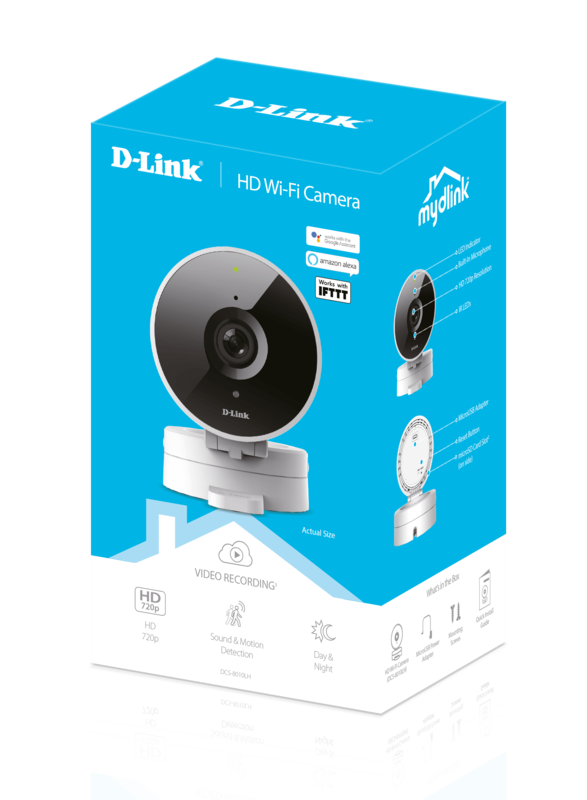 The mydlink™ HD Wi‑Fi Camera allows you to monitor and record, day or night. 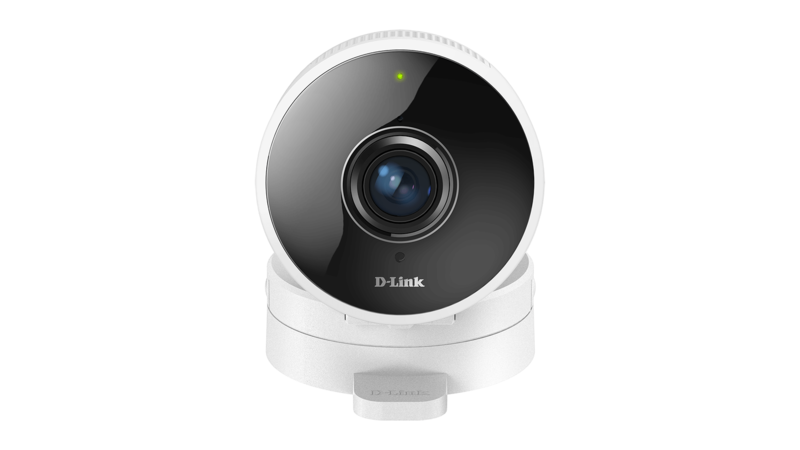 With a wide‑angle lens, HD clarity, and built‑in night vision, together with convenient motion and sound detection that alerts you instantly, you can enjoy peace of mind at home. High-quality 720p HD resolution with a 4x digital zoom provides a clear picture. 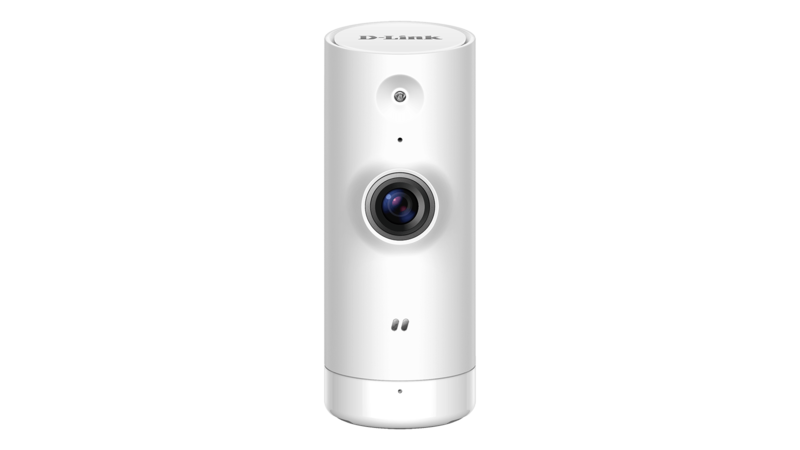 Get the best viewing angle whether it is installed on a wall, ceiling, or shelf. See in the dark for up to 5 metres with the built-in infrared night vision. 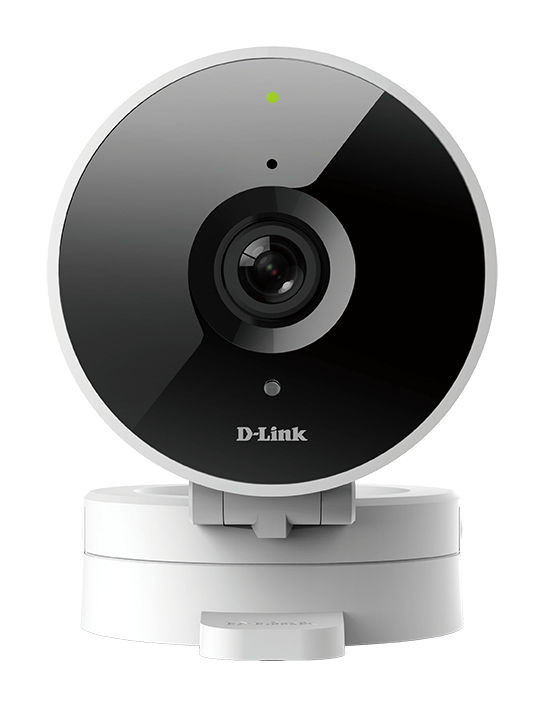 Protect what matters most with a 120° wide-angle lens and a 720p HD sensor to give you a clear view of an entire room. 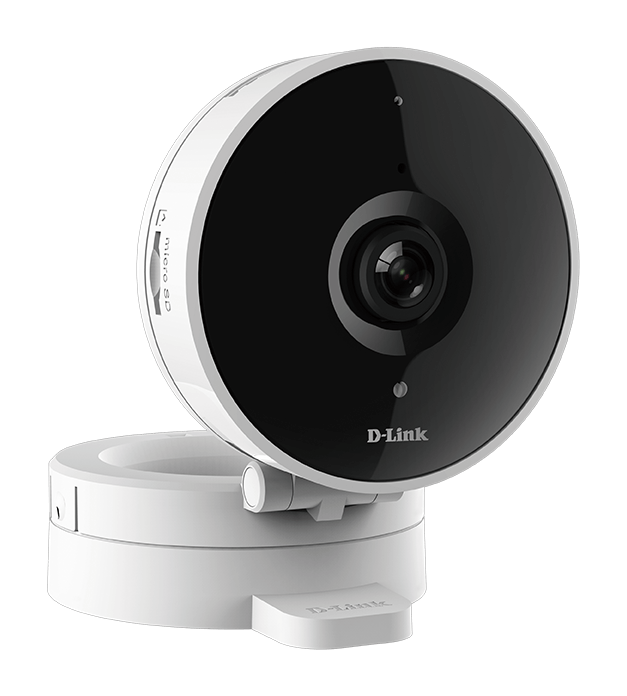 You can also monitor and record even through pitch-black darkness with its infrared night vision. 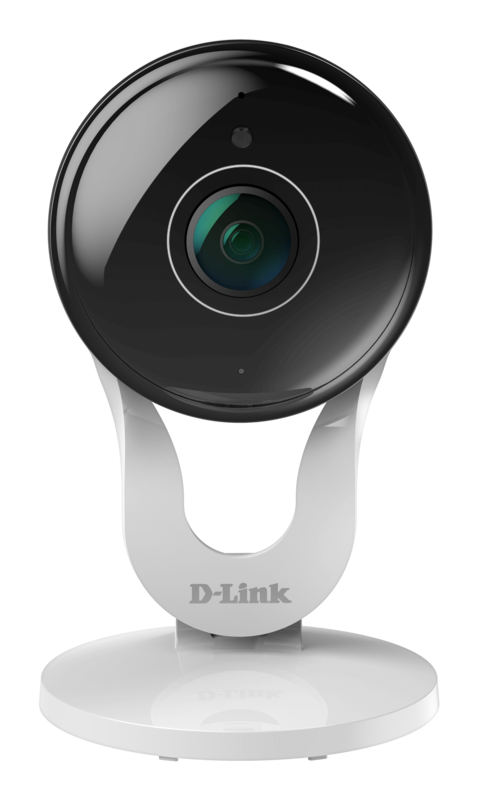 Easy-to-use motion and sound detection alerts you and starts recording if movement or sound is detected, with sensitivity settings in the free mydlink app. There are loads of ways to store your valuable footage. 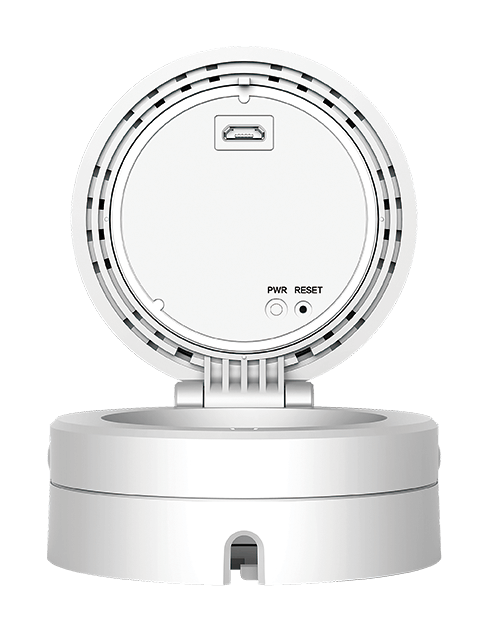 Select free Cloud recording, the microSD card slot, or save straight to your phone or tablet. For peace of mind and additional security, our optional premium Cloud storage upgrades make your footage available to you for even longer. 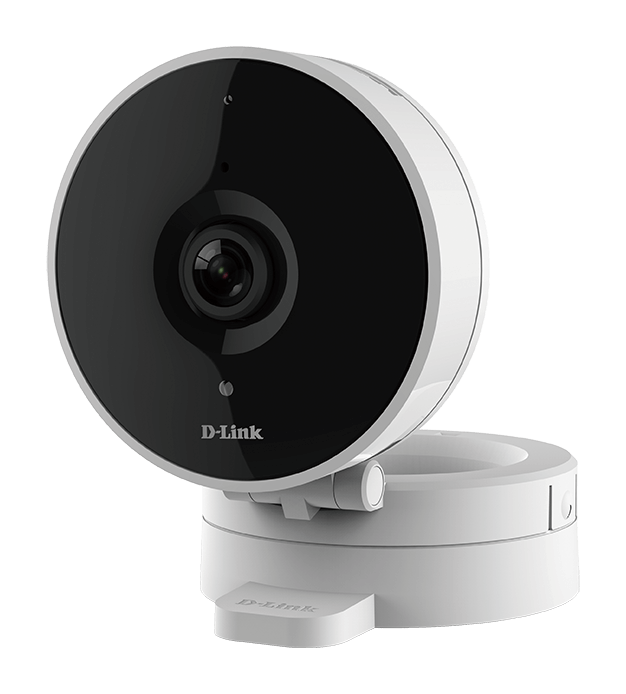 With its full 360° rotation and fold-out design, you can quickly and easily adjust the position and find the perfect viewing angle to protect your home. It’s perfect for blending in with ceilings, walls, and shelves. 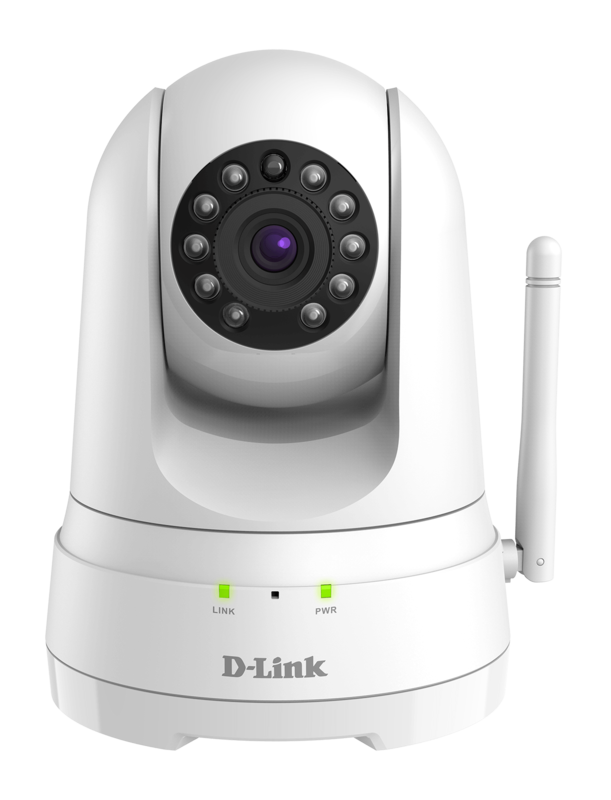 Connect the camera to your Wi-Fi without needing a bulky Ethernet cable.